Find Indian Land, SC Homes for sale. View Photos, Maps and MLS Data Now! Come check out the community and the active adult lifestyle of Sun City Carolina Lakes. MLS#3499445. RE/MAX Executive. MLS#3499859. 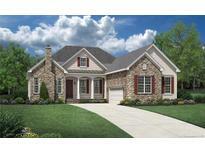 Taylor Morrison of Carolinas Inc.
Come see why so many people are talking about Ansley Park! MLS#3499647. NVR Homes, Inc./Ryan Homes. Audubon Lake - Community pool with slides, large playground area and covered picnic shelter within walking distance. MLS#3493313. Bliss Real Estate LLC. Come see why so many people are talking about Ansley Park! MLS#3499631. NVR Homes, Inc./Ryan Homes. Ashley Glen is a small neighborhood w/one of the lowest HOA's, only $225/year. Newly painted. MLS#3495800. Keller Williams Ballantyne Area. Don't miss this incredible opportunity! MLS#3499608. Keller Williams Fort Mill. Carolina Reserve - Neighborhood amenities include pool, clubhouse, fitness center, playground, dog park, pond and walking trails. MLS#3497034. Keller Williams Fort Mill. Come and imagine this being your home, make an offer and begin your next life adventure here. MLS#3497788. Giving Tree Realty. Luxurious kitchen with center island opens to family room. MLS#3498481. Toll Brothers Real Estate Inc.
Don't miss this wonderful opportunity! MLS#3493109. Keller Williams Ballantyne Area. This home sits on .44 acres w/ mature landscaping and an oversized deck great for all those fun cookouts... MLS#3495360. Coldwell Banker Residential Brokerage. Per USDA Zone Map; USDA eligible property. MLS#3497849. Mark Spain Real Estate. Reid Pointe - Dont miss out of this great home in Indian Land School District with low taxes! MLS#3494575. Wilkinson ERA Real Estate. Sun City Carolina Lakes - Experience easy living with resort style amenities in this lovely home. Age 55+ MLS#3495419. RE/MAX Executive. HOA dues include FULL lawn care. MLS#3497651. Essex Homes Southeast NC Inc. So much to appreciate, don't miss this opportunity to own a family home with room for everyone! MLS#3496297. Berkshire Hathaway HomeServices Carolinas Realty. Sun City Carolina Lakes - Spacious master bedroom with tray ceiling, separate shower and garden tub, double sink vanity. MLS#3494695. Cottingham Chalk. Come check out the community and the active adult lifestyle of Sun City Carolina Lakes. MLS#3496728. RE/MAX Executive. Sun City Carolina Lakes - Come take a tour today! Age 55+ active adult community. MLS#3492952. RE/MAX Executive. Luxury Living at it's best in Sun City Carolina Lakes. MLS#3496548. Keller Williams Fort Mill. Last, this home is located just over the SC border, minutes to Ballnatyne, Pineville & Blakeney & easy access to 485! MLS#3496368. The W Realty Group Inc..
Two detached storage buildings (one has wired electricity and cable-perfect for a man cave), fenced yard and woods all around! MLS#3496530. Allen Tate Indian Land. Environments for Living certification provides extra comfort and energy efficiency. MLS#3496217. David Weekley Homes. Come check out this beautiful home today! MLS#3489990. Highgarden Real Estate. These statistics are updated daily from the Carolina Multiple Listing Services, Inc. For further analysis or to obtain statistics not shown below please call Highgarden Real Estate at 704-705-8735 and speak with one of our real estate consultants.